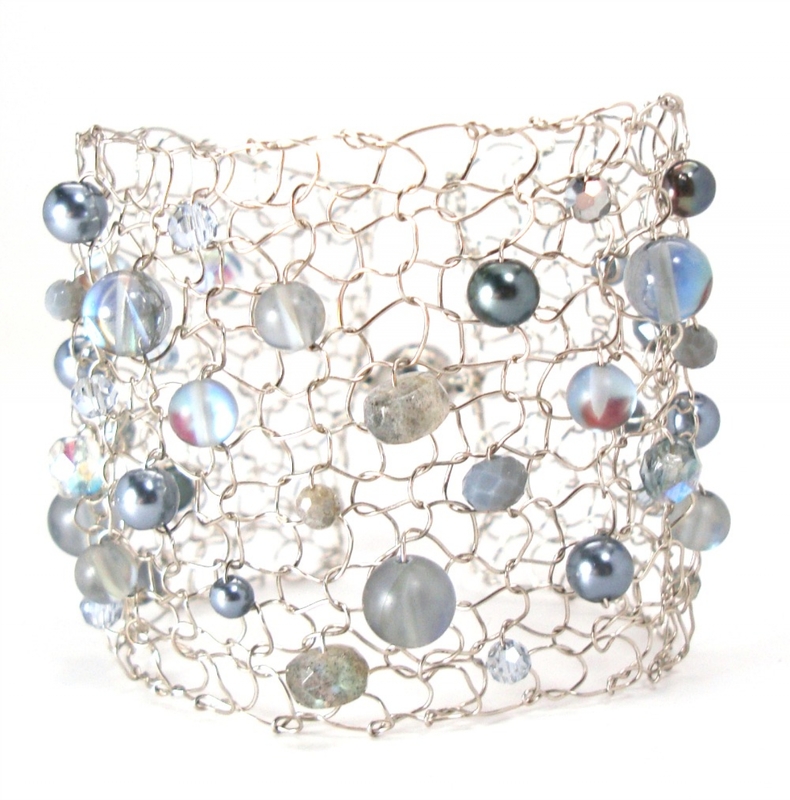 This gorgeous wide wire knit cuff is dripping in semiprecious labradorite, pearls and grey moonstone. The flash is magical and is sure to make a statement on the wrist. 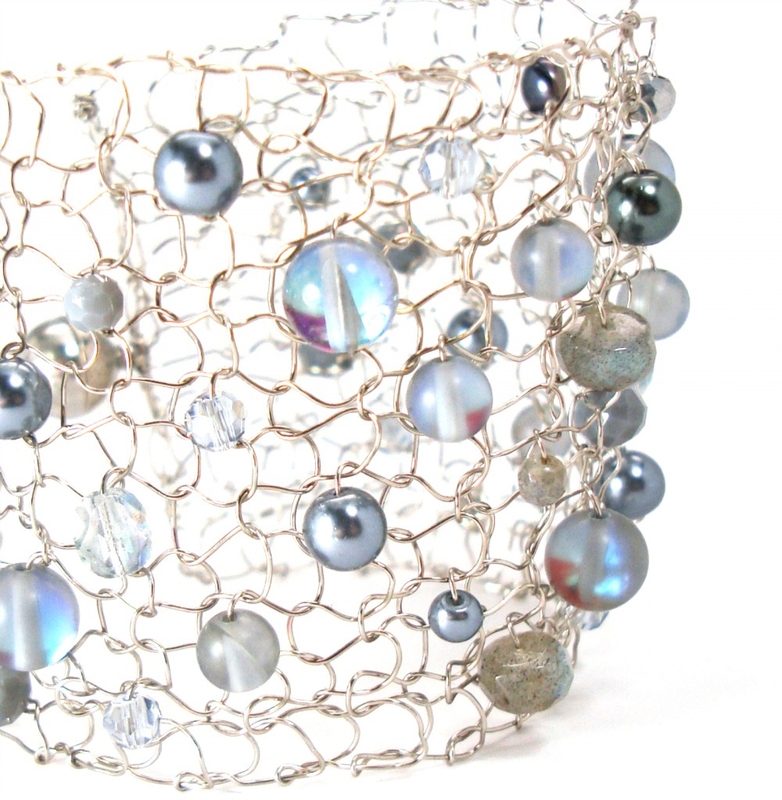 Every piece of lapisbeach is hand strung and hand knit so every piece is unique and one of a kind. 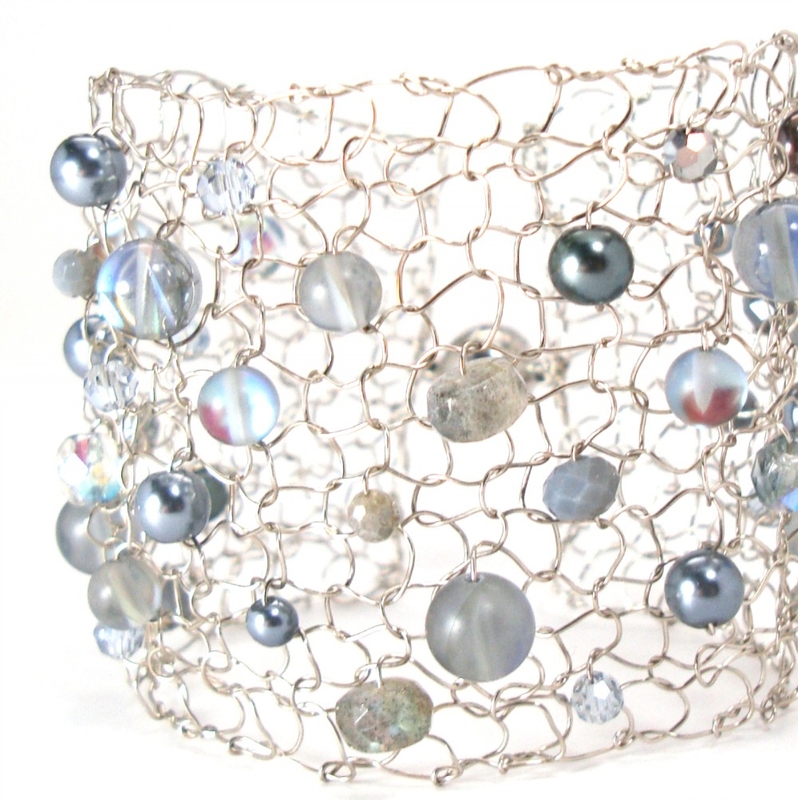 This beautiful piece is knit with oxidized silver titanium wire and it sets the stones and pearls pefectly. 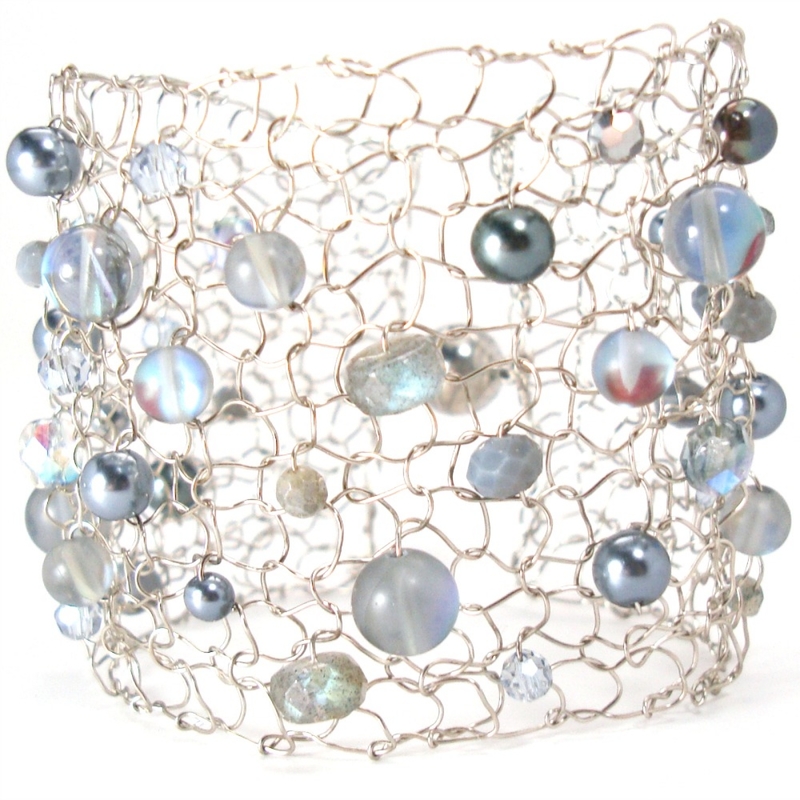 It is a wide statement piece that will measure 2" in width & The cuff is made to order so please indicate your wrist size when ordering. Please feel free to ask any questions.